Troubled Broadway musical Spider-Man: Turn Off the Dark has been slated by critics in the first major press reviews a month ahead of opening. 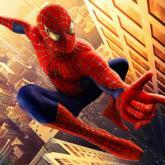 "Spider-Man is... the most expensive musical ever to hit Broadway," wrote Ben Brantley in the New York Times. "It may also rank among the worst." The Washington Post branded the show a "stinker", while the Hollywood Reporter called it a "web-slinging folly". The show, currently in preview, will have its official opening on 15 March. Directed by Julie Taymor and featuring music by Bono and The Edge of U2, the musical has been plagued with technical problems and injuries to its cast. The most serious came on 20 December when cast member Christopher Tierney fell 30 feet during the performance, suffering a skull fracture and cracked vertebrae. In the New York Times, Brantley admitted he was breaking a traditional embargo but said he had decided to see the show around the time it was supposed to have opened prior to the most recent postponement. "From what I saw on Saturday night, Spider-Man is so grievously broken in every respect that it is beyond repair," he wrote. His sentiments were echoed by the Washington Post's Peter Marks, who called it "a shrill, insipid mess" with a "convoluted" story. The score, he continued, was "devoid of personality" in a show whose "optimal audience might be non-English-speaking". The Hollywood Reporter's David Rooney called it "an ungainly mess of a show that smacks of out-of-control auteurial arrogance". "This pile-on by the critics is a huge disappointment," said Spider-Man's spokesman Rick Miramontez, adding that "changes are still being made" to the $65 million (£40.4 million) production. "Any review that runs before the show is frozen is totally invalid," he continued. Despite the barrage of negative publicity, the show is selling out at New York's 1,928-seat Foxwoods Theatre. Taymor's previous shows include the musical adaptation of Disney film The Lion King. Her film version of Shakespeare's The Tempest opens in the UK next month.